Every group working with the Southeast Baptist Association does a variety of ministries. A weekly schedule will be developed by working with group leaders to determine the strengths and desire of their groups, matching those strengths and desires with our available ministry options! 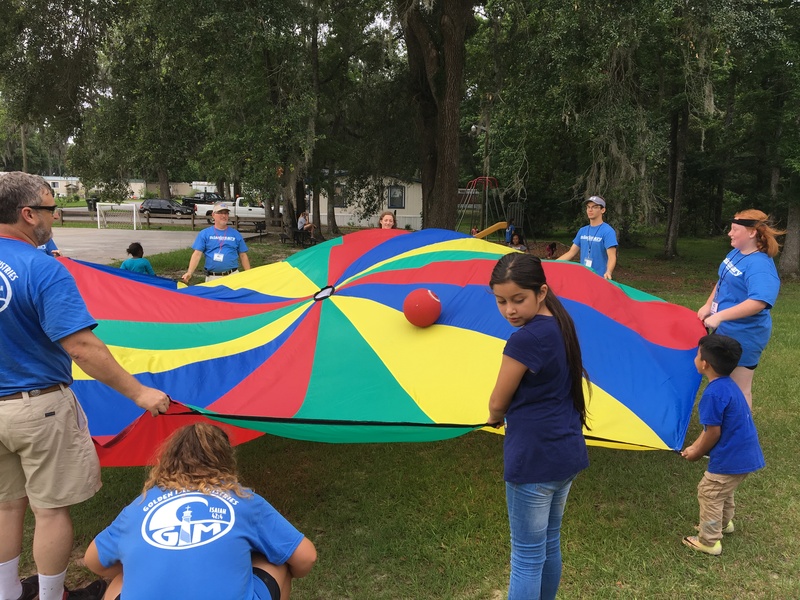 While there is great freedom in planning what ministries one will participate in at Golden Isles Ministries, all group must assist with a daily “day camp” ministry explained below! 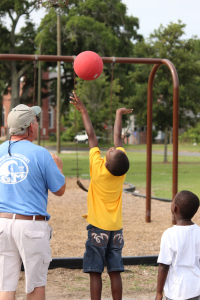 GIM holds day camps in the inner city Government Housing Projects, City Parks, Mobile Home Parks, Apartment Communities, and at our local Boys & Girls Clubs. 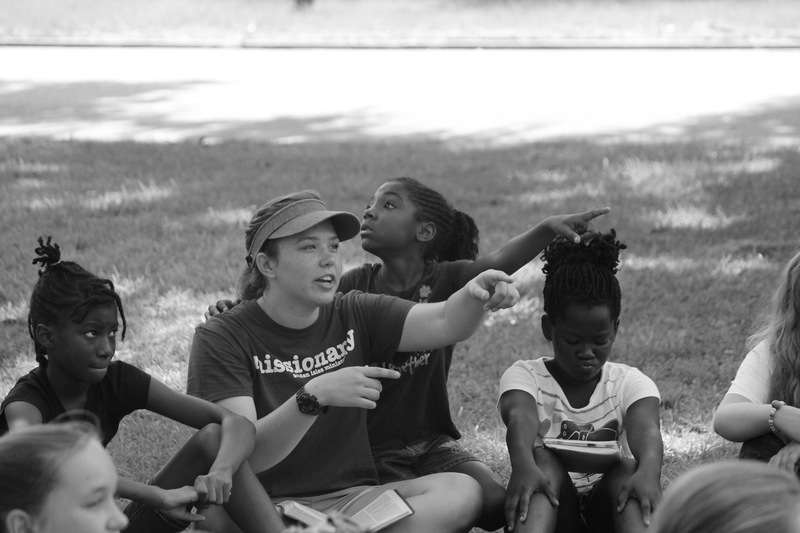 Day camps utilize Bible stories, games, songs, crafts, and other activities in a controlled setting for the purpose of sharing God’s love to children (ages 2-18). Keep in mind your audience when you are planning your Day Camp project. Children who regularly attend church will be quite different from children who have never attended church. Our Day Camps range in size, from averaging 20 kids each day at the low end to working with 250+ kids each day at the high end, and Day Camps take place within a variety of social and ethnic community settings! Over the past few years we have been fortunate to develop a great relationship with the City of Brunswick! We love to have construction groups come for week-long projects that range from painting, to roofing, to plumbing and remodeling. How our planning process for construction works is this: You determine what skills and equipment you will bring with you to Brunswick for the week, we align these skills with particular housing projects that need the labor and tools you can provide, and the city of Brunswick pays for all of the supplies! In the past we have put roofs on houses, replaced plumbing in whole homes, remodeled kitchens and bathrooms, painted interior and exterior walls and fixtures, among other projects. Unlike other ministries we take part in, our construction projects are totally catered to your abilities and desires! and guitar), perform drama skits, play bingo with them, and the ladies would enjoy having their nails painted. 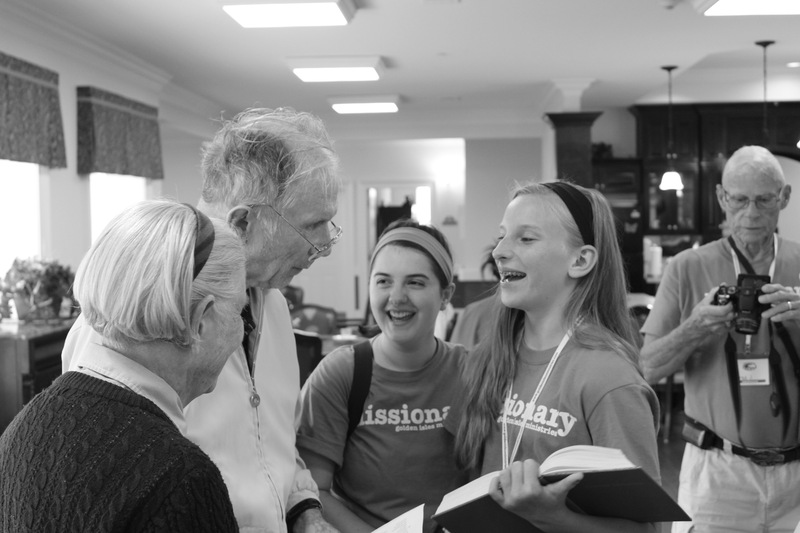 Anything that your mission group can do to communicate God’s love for them would be appreciated. Is a great way to use your imagination and creativity to have fun, while inviting others to join in on what you are doing. Some suggestions include: Ultimate Frisbee, sand sculpting, beach games (i.e. chuck-o, bocce balls, ladder golf), seagull feeding, and flying kites. Don’t forget to take your slip discs (which you can purchase more GIM discs from us), power bands, sunscreen, water, sno-cones to give-a-way. Have fun, get p eople involved, find a need and meet it, and share the Gospel. sidewalk chalk, creative ministries, clowns, juggling, face-painting, flying a kite, free sun block samples, and visit with those fishing the pier. Surveys also can be used effectively to open a door for you to share the Gospel. 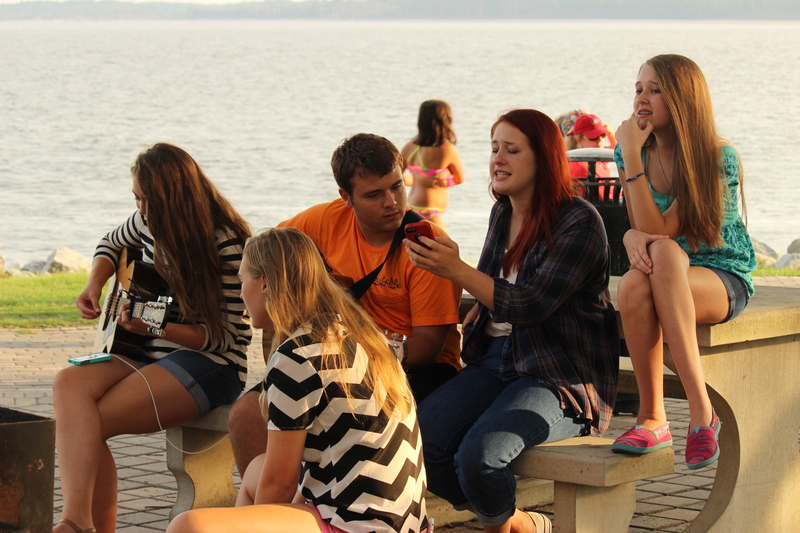 Mission groups have the opportunity to present a creative performance of drama, music, or other talent. Performance areas include local churches (typically on Sunday and Wednesday evenings), outdoor community sites, the Pier on St. Simons, and other places. You will have a wide-range audience from adults to children vacationers, residents, churched, and non-churched people. The key to effective performance is to draw people into a family-friendly performance with opportunities to share Christ immediately following by all volunteers of the mission groups. Sports is a good way to build relationships with youth and build their self-esteem, which gives you the perfect opportunity to share the love of Christ with them. There are several parks available for these camps. Most of our parks have large fields while others have basketball courts, tennis courts, play grounds (for those too young for sports), and softball fields. You would need to determine the skills of your group and develop a plan that includes some type of Bible Study or Gospel presentation (and possibly crafts and snacks). Possibilities include: basketball, softball, tennis, soccer, volleyball, flag football, cheerleading, and baseball. Prayer Walking is praying on site with insight. There are many areas of existing ministry and areas where new ministries need to be started that could benefit from concerted prayer. A morning or afternoon spent praying for an existing or new ministry might be the most important work your group does in a community. hat God can do if we have the spiritual insight and the desire to be used by Him where He wants us to work and serve. Let GIM know your mission vision, gifts, talents, and availability.